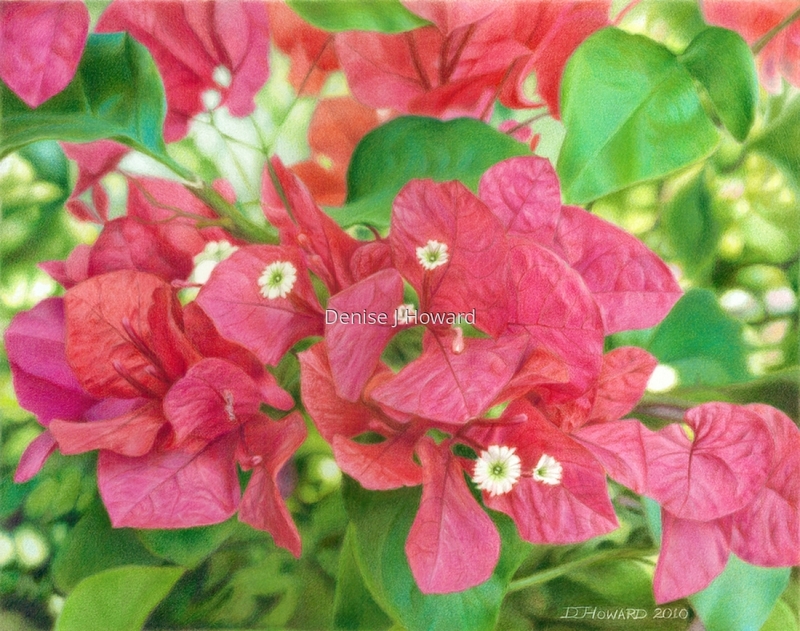 Bougainvilleas catch our eyes with some of the most intense magentas, fuchsias and reds there are. Colored pencil on Stonehenge paper. Done by commission from a photo provided by the client. 5" x 6.375"8" x 10.125"11" x 14"14" x 17.75"